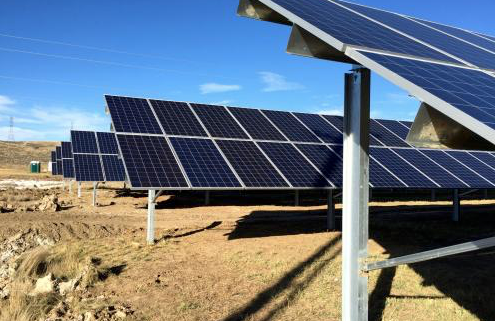 San Isabel Electric Association, based in Pueblo West, partnered with American manufacturer Titan LED to brighten the day — and space — of two businesses in the co-op’s service territory. First Choice Market in Walsenburg received a $17,955 rebate check after it upgraded more than 450 light fixtures in the store. This not only increased the life span of the lighting up to eight times, but it gives the small business an average of $950 in monthly savings on its electric bill. Valley Market is also saving money on its monthly electric bill, to the tune of $650. The business is grateful to be able to pass those savings along to its customers. The Colorado City-based market received a $9,675 rebate from SIEA. An additional added benefit is that the market is saving employee’s time and energy by no longer needing to replace expensive, old-fashioned lightbulbs that were frequently burning out. SIEA points out that energy savings vary depending on building specifications, the scope of the project, overall energy usage and other factors, but it is eager to offer this program to commercial accounts in its territory. For more information on this and other rebate programs the co-op offers, visit siea.com/rebates.